Read on and you'll find out about this photo. 31 And the multitude rebuked them, because they should hold their peace: but they cried the more, saying, Have mercy on us, O Lord,thou Son of David. I read this passage in Matthew's Gospel some time last year, and the compassion of the Saviour really struck me. - in Matthew 26: 2-13, we're given the beautiful account of the woman who anointed the Saviour with 'very precious ointment'. Instead of being commended for her selfless act of faith, the disciples indignantly spoke of her wastefulness. Thankfully, Christ gently rebuked them for 'troubling the woman', and He recognized her work as a good work. - and here, in Matthew 20, two blind men cried out to the Saviour when they realized He was passing by. They were rebuked by the people in the vicinity, but they 'cried out the more'. Let this be an encouragement to anyone who is seeking Christ, and has found discouragement from any around them. These men desired that they would have their sight, and Jesus 'had compassion on them'. Now, compared with eternal and spiritual sight, physical sight way less important. What is it if we see the world around us all our lives, only to be cast into outer darkness when our short time on this earth is over? There is no sight more precious than the gift of having spiritual life, our souls being brought alive and seeing both our need of Christ, and the sufficiency that is in Him to save us. Nobody, I am quite sure, cared for the spiritual well-being of souls like our Lord. And nobody has ever walked this earth who knew the desperate need of souls like our Lord. And yet ... He had compassion on those blind men and healed their physical blindness because of His compassion. These blind men had the amazing experience of seeing what was around them, maybe for the first time ever, and then they 'followed Jesus'. Now they had physical light and spiritual light. What a day that was for them! Of course I cannot give anyone spiritual sight - that is God's work alone; and I cannot give anyone physical sight - at times, and in increasingly amazing ways, doctors can work to restore the sight of the blind. The photo is of Sparkle (named in honour of our Queen's Diamond Jubilee), and she is in training to be a Guide Dog. 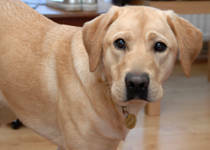 You can read more of Guide Dogs for the Blind's work here. No, this post is not about you. It's about really clever dogs who will, one day, be able to take those who cannot see for themselves out and about. Jackson! I don't care what sweet photo you show, this post is about Sparkle! She is clever, smart, intelligent, witty .... Okay, so I'm not sure about the witty part, but she's SMART. And soon, she will be transforming someone's life. She will give a person independence and the ability to go out and about, in ways they could never have done without her. I reckon that makes Sparkle more than worthy of her own blog post. We are sponsoring Sparkle - her training doesn't come cheap ... What does?! As we hear more of Sparkle's progress, I'll let y'all know how she's doing. I sure hope she'll transform someone's life in the future. When I think of those who cannot see the world around them, I can't help but feel compassion. I wish I could do more for them, but for now, sponsoring a puppy-in-training seems like a good idea. Have any of you had any experience with Guide Dogs? Let me know if you have (and I promise not to read out anything that would give poor Jackson a complex). You have to, have to, have to read 'Emma and I'. 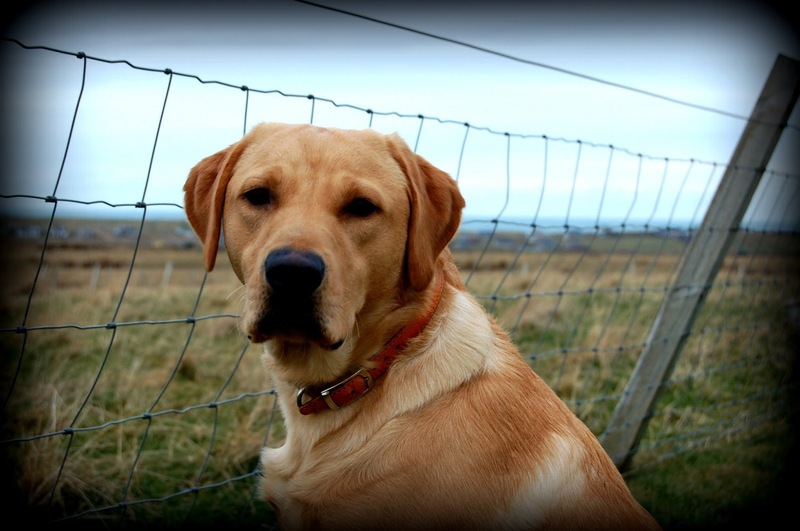 An autobiography showing the amazing difference a guide dog makes in the life of a blind person. Emma was also a lab. Sparkle is beautiful! What a lovely thing to do, to sponsor her. I love your insight on those verses about Jesus! What a wonderful thing to do! Sparkle is lovely. 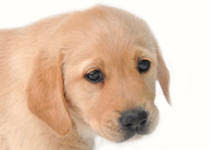 I have some friends who have sponsored many guide dogs. I think it is wonderful. I used to love learning about guide dogs when I was a kid.... it mostly came after reading the book that Davene just mentioned above..."Follow My Leader" I read that book several times when I was a kid. I was so fascinated by the story and the idea. Sparkle is beeuteeful. Enjoyed hearing about your new project. And I loved the scriptures about Jesus's compassion too. I love His compassion, and am amazed and blessed by it constantly. So wonderful! We have friends whose daughter is blind and they have helped w/ the training of numerous guide dogs! Such a great endeavor! Thanks for the wonderful Scriptures...and the cute pix of Sparkle...AND Jackson! Nice! I havent been on your blog in forever. I got on FB and left blogworld! Trying to transition back. We will see how it goes. Blessings!